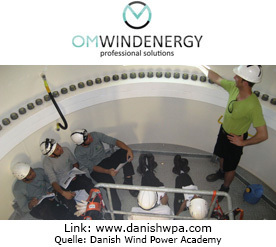 Guided Tour (1): 10.30 - 12.00 p.m. 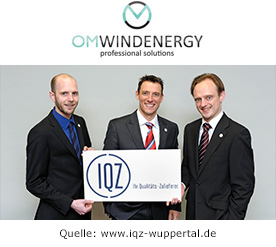 Reception: 12.00 - 13.00 p.m. 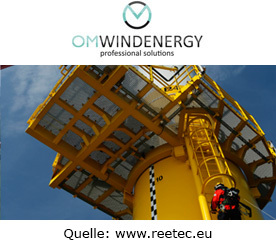 Guided Tour (2): 13.00 - 14.30 p.m. 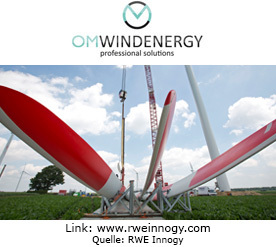 Alternative: Wind Energy Excursions in North Rhine-Westphalia. 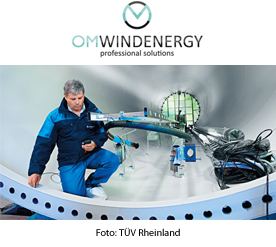 The first edition of OMWINDENERGY germany, an international industry event with an exhibition and conference, will be held in Berlin this year. 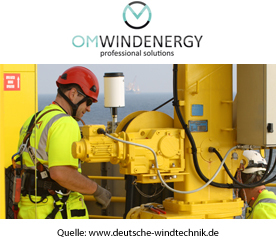 It will showcase the most important players and trends in the operation & maintenance sector of the globally booming wind industry. 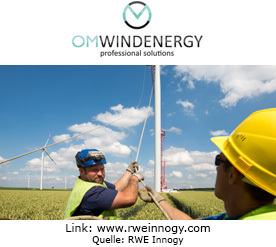 Carlo Reeker, Bundesverband WindEnergie (BWE) e.V. 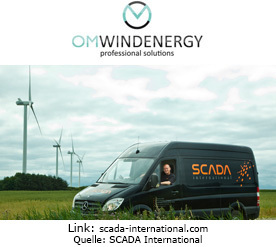 Boosting performance and availability – what is possible and what makes sense? 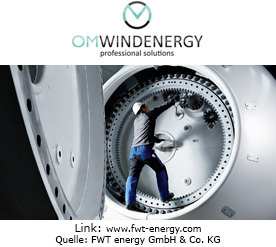 Ronny Meyer, germanwind / WAB e. V.
Stategic options in a booming service market. 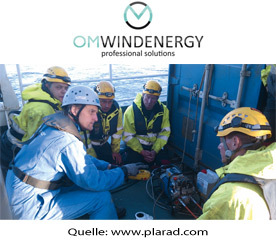 Learn more – register now: Conference Program (PDF). 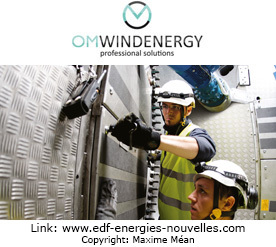 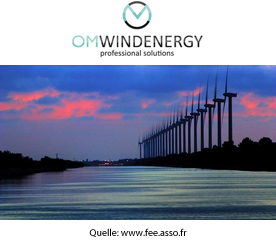 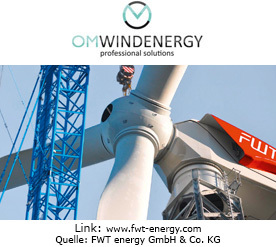 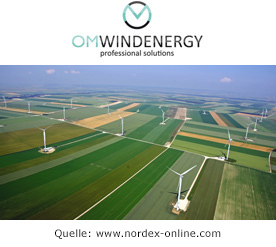 OMWINDENERGY 2013, the new industry forum, invites interested parties to submit papers with a focus on "professional solutions for operation and maintenance" in the international wind sector. 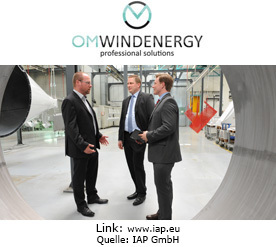 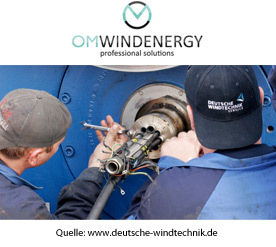 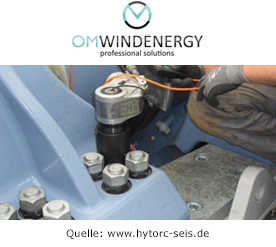 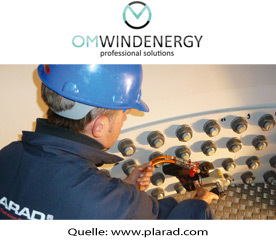 OMWINDENERGY germany will be held for the first time on October 8 and 9, 2013, in Berlin. 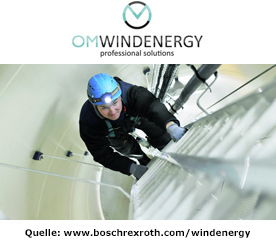 The new specialist fair and conference will be conducted in German and English. 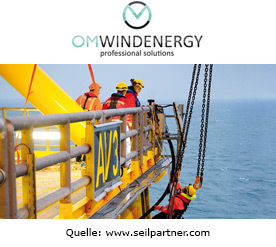 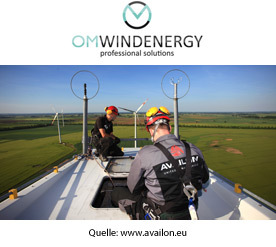 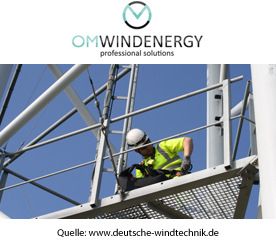 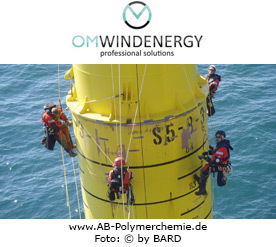 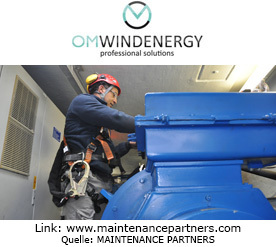 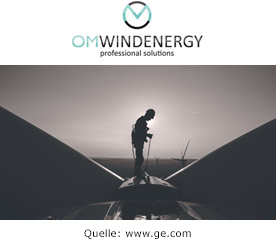 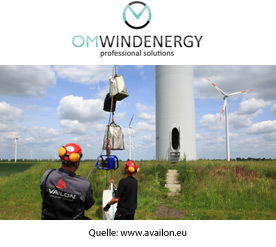 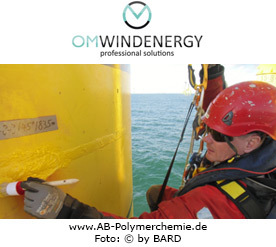 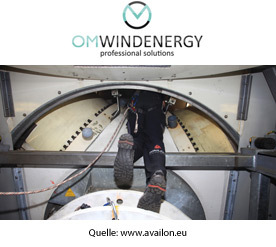 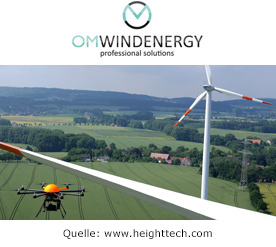 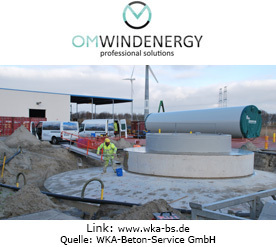 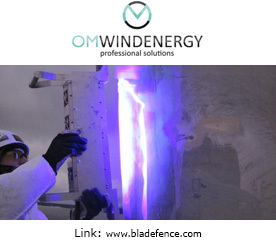 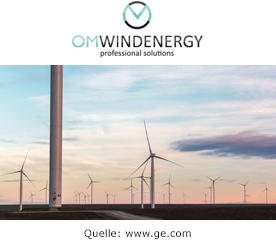 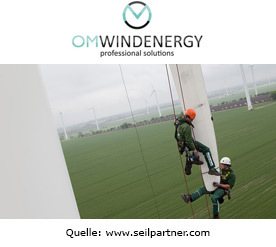 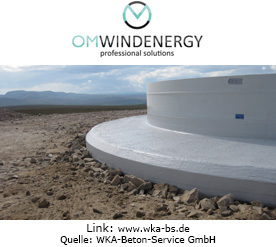 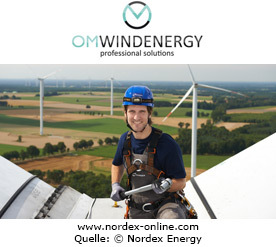 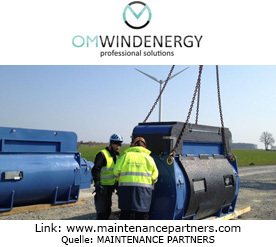 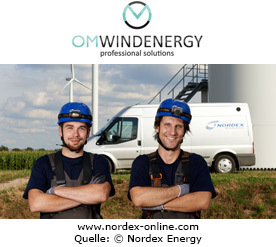 OMWINDENERGY is managed by the Green Team, an advisory board of experts who contribute their ideas and expertise to the organization of the event. 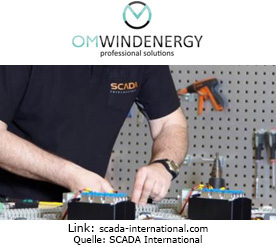 The call for papers is an invitation for both new and experienced presenters from the operation and maintenance sector to get involved. 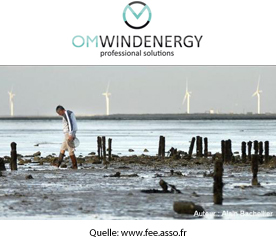 Proposals in the form of abstracts can be submitted until June 15, 2013.